I believe that no single quality better equips data analysts for success than curiosity. Ian Leslie’s book Curious: The Desire to Know and Why Your Future Depends on It, isn’t about data analysis, but is instead about curiosity in general: what it is, how it develops, how caregivers can encourage its development in children, how societies view it, what it enables us to do, how modern technologies affect it, and how it enriches our lives. We’re born with diversive curiosity, but it can mature into epistemic and empathic curiosity. 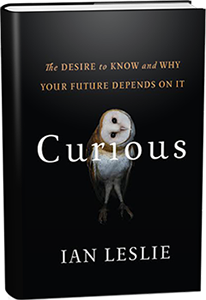 These deeper, “more disciplined, and effortful” types of curiosity are the subject of this book. Let me apply these distinctions to data visualization. Someone who is engaged by superficial aspects of an infographic’s design—what I often refer to as flash and dazzle—is exercising diversive curiosity. Many infographics are designed to appeal solely to curiosity of this type. Someone who is drawn to an infographic to learn and understand its story is exercising epistemic curiosity. This person is drawn in by the clarity and importance of the information. If the infographic reveals something about a people or culture, empathic curiosity might draw the viewer in. We romanticize the curiosity of children because we love their innocence. But creativity doesn’t happen in a void. Successful innovators and artists effortfully amass vast stores of knowledge, which they can then draw on effiortlessly. Having mastered the rules of their domain, they can concentrate on rewriting them. A major concern of this book is that digital technologies are severing the link between effort and mental exploration. By making it easier for us to find answers, the Web threatens habits of deeper inquiry—habits that require patience and focused application. Chris Anderson, the former editor of Wired, has made the extreme case for the potential of…[Big Data]. “Out with every theory of human behavior, from linguistics to sociology. Forget taxonomy, ontology, and psychology. Who knows why people do what they do? The point is that they do it, and we can track and measure it with unprecedented fidelity. With enough data, the numbers speak for themselves.” Anderson thinks that when you amass Big Data, you no longer have to bother with the Big Why. Curious? If so, I recommend that you read this book. Thank you for reviewing this book and bringing it to our attention! I got my hand on a copy of this book and started reading it. I’ll confess – The first three chapters went a bit slow for me. This is where Ian lays the foundations of some of the things he covers later on in the book. I experienced these chapters as a necessary evil. A good definition of terms is very helpful, but reading through this part did not capture my attention in the same way the rest of the book did. I am glad I continued reading, as I found the chapters that followed very interesting. The examples Ian uses are easy to relate to and made the book a very interesting read. I found myself questioning the way I communicate with people around me – my family, work, how to motivate people, how to grow. The book continuously managed to keep my mind applying its contents to my personal situation. I agree: This book is worth picking up and spending some time with!